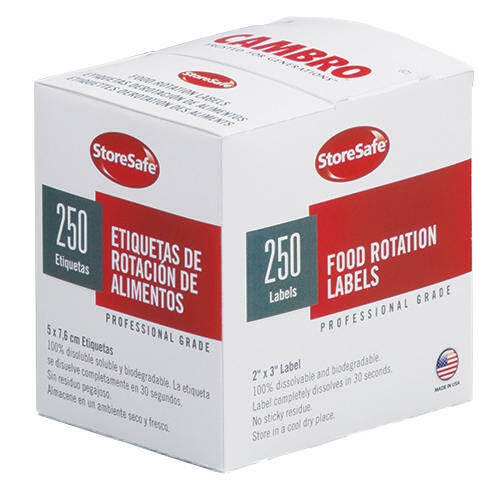 The Cambro 23SLB6250 StoreSafe® food rotation label uses adhesive to secure to a food storage container or pan for labeling and dating the stored contents. When it is time to remove the label, it dissolves completely in hot or cold water. As the label and adhesive dissolves, it does not cause a buildup in the drain or harm sewer or septic systems. 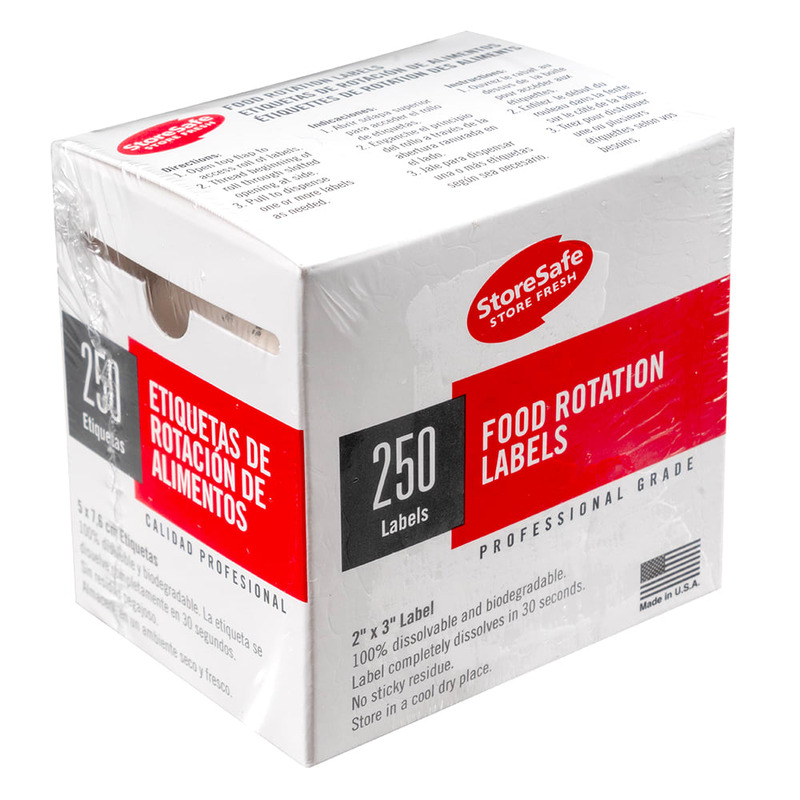 After it dissolves, the Cambro 23SLB6250 StoreSafe food rotation label does not leave behind any sticky residue that could harbor bacteria.